Rossmont Mover M1900 Circulation Aquarium Water Pump is a high performance pump with compact dimensions. 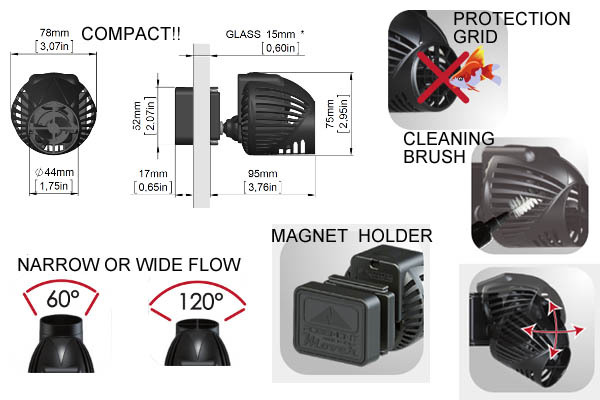 They're the smallest orientable aquarium circulation pumps (compared to other pumps of similar output) in the world. The wide and turbulent flow can be set to 120 degrees or concentrated to 60 degrees with the included concentrator nozzle. The Mover was developed to recreate the effect of the natural marine currents on barrier reefs.